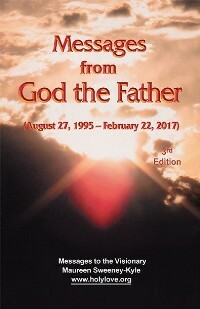 Booklet: Messages from God the Father 2nd Edition. An updated booklet of powerful Messsages from God the Father given to visionary Maureen from 1995 to 2014. Includes a Novena to God the Father dictated by the Angel Alanus and illustrations of the Chambers of the United Hearts of the Holy Trinity and Immaculate Heart of Mary, and the Table entitled Self-Love vs. Holy Love. 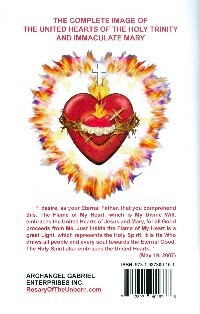 Front cover measures 5.5 x 8.5in. Softcover. 68 pages.